Posted: Wed 30 Apr - 18:05 (2008) Post subject: La Star Mystère ???? Posted: Wed 30 Apr - 18:25 (2008) Post subject: La Star Mystère ???? Posted: Wed 30 Apr - 18:31 (2008) Post subject: La Star Mystère ???? Posted: Wed 30 Apr - 19:26 (2008) Post subject: La Star Mystère ???? Posted: Wed 30 Apr - 19:34 (2008) Post subject: La Star Mystère ???? Posted: Wed 30 Apr - 20:04 (2008) Post subject: La Star Mystère ???? 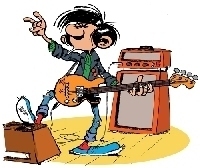 je suis un écrivain, poete, musicien, parolier... français mort en 1959. Posted: Wed 30 Apr - 21:45 (2008) Post subject: La Star Mystère ???? Posted: Thu 1 May - 05:54 (2008) Post subject: La Star Mystère ???? Posted: Thu 1 May - 09:04 (2008) Post subject: La Star Mystère ???? Posted: Thu 1 May - 09:50 (2008) Post subject: La Star Mystère ???? Posted: Thu 1 May - 09:53 (2008) Post subject: La Star Mystère ???? Posted: Thu 1 May - 09:57 (2008) Post subject: La Star Mystère ???? Posted: Thu 1 May - 10:26 (2008) Post subject: La Star Mystère ???? Posted: Thu 1 May - 10:54 (2008) Post subject: La Star Mystère ???? Posted: Thu 1 May - 10:56 (2008) Post subject: La Star Mystère ???? Posted: Today at 09:54 (2019) Post subject: La Star Mystère ??? ?